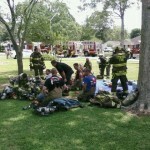 Rehab on a very hot summer day. 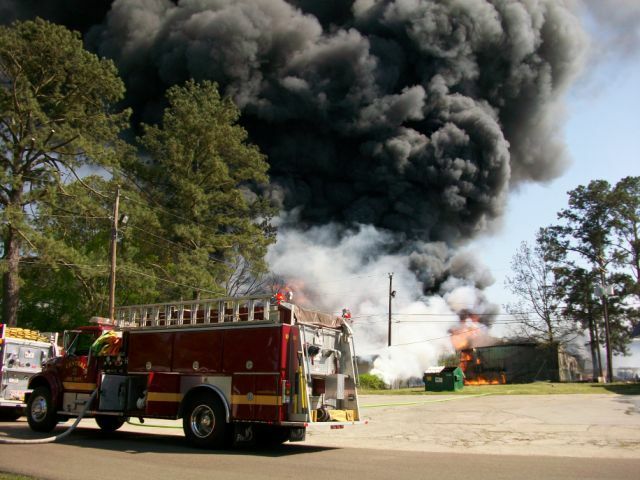 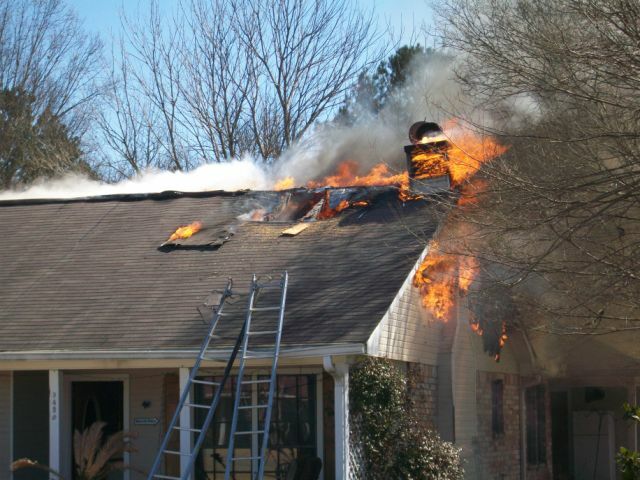 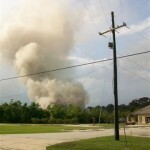 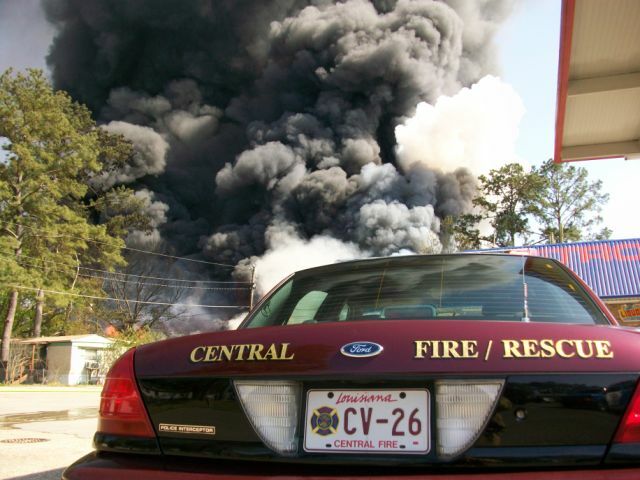 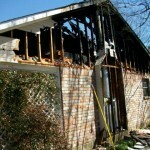 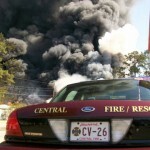 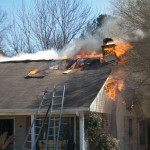 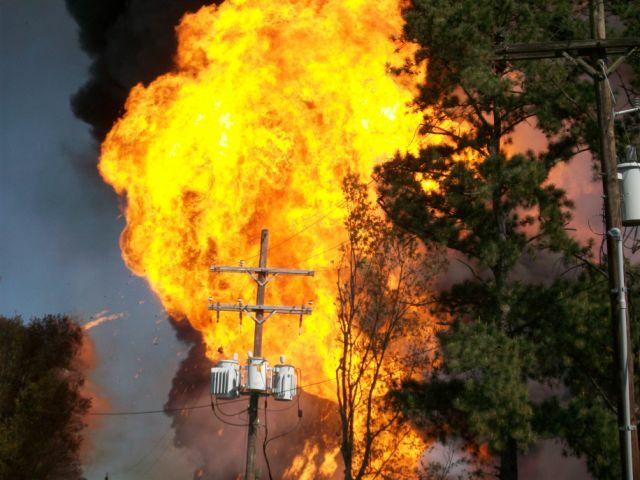 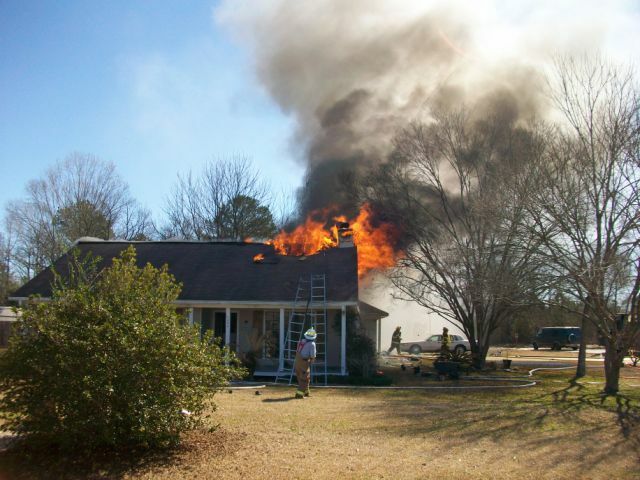 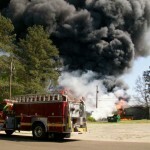 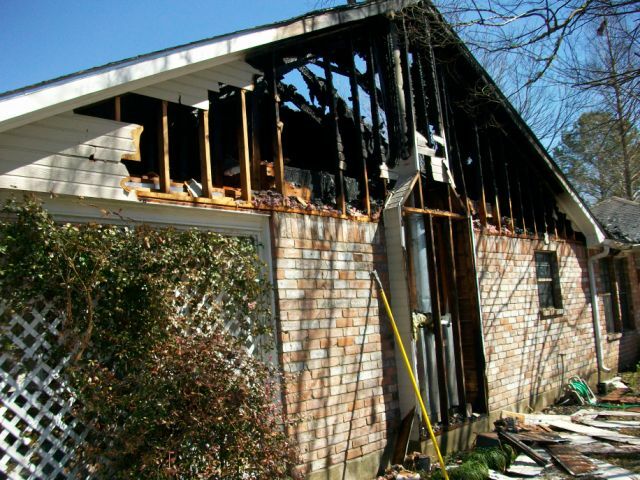 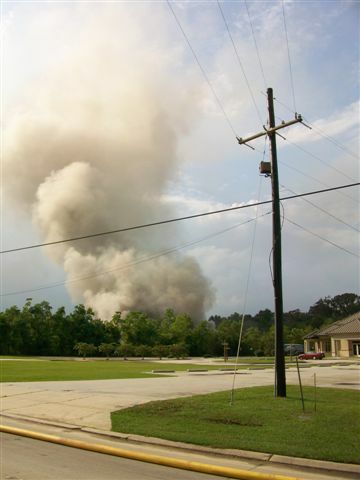 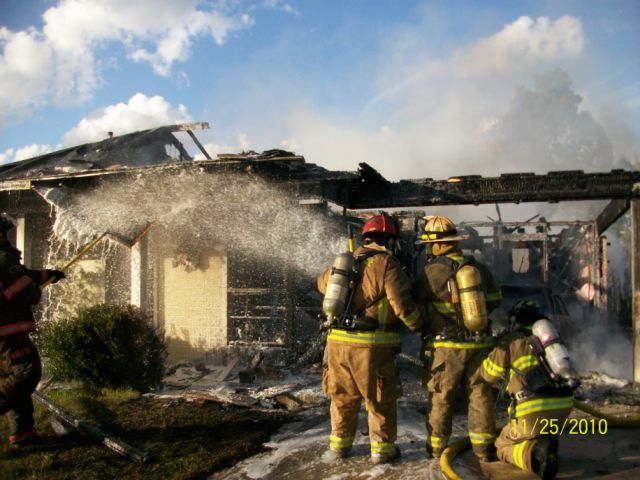 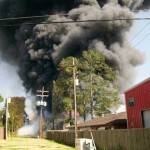 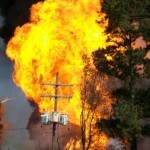 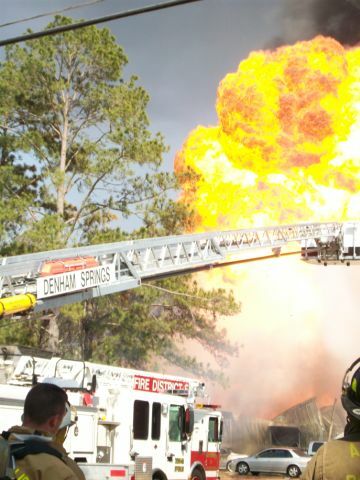 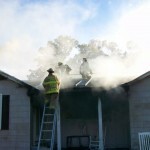 House fire on June 9, 2009. 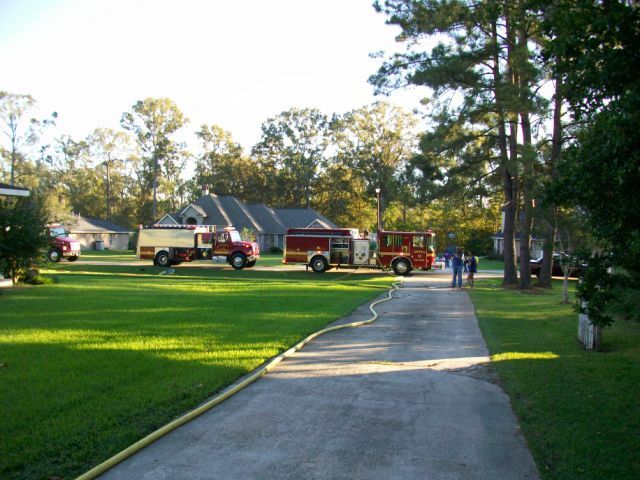 Lots of water going out. 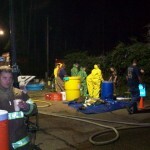 Lots of water coming in. 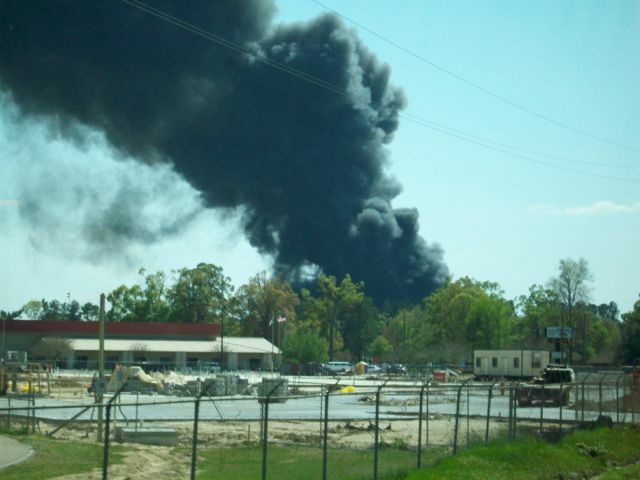 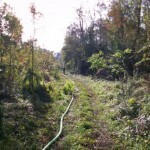 9-18-09 View from E 353 on Hooper Rd. 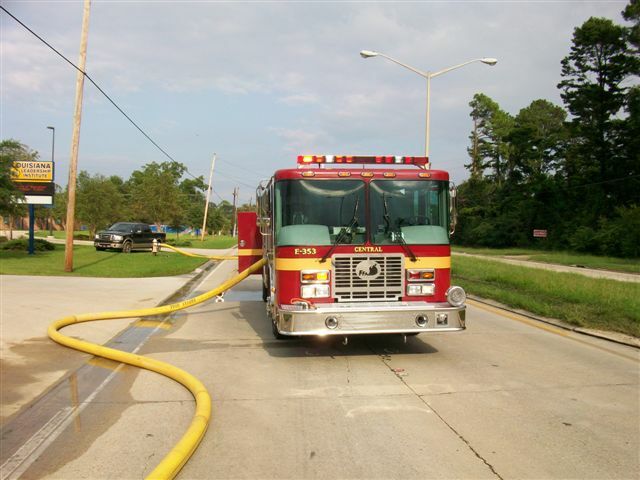 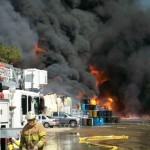 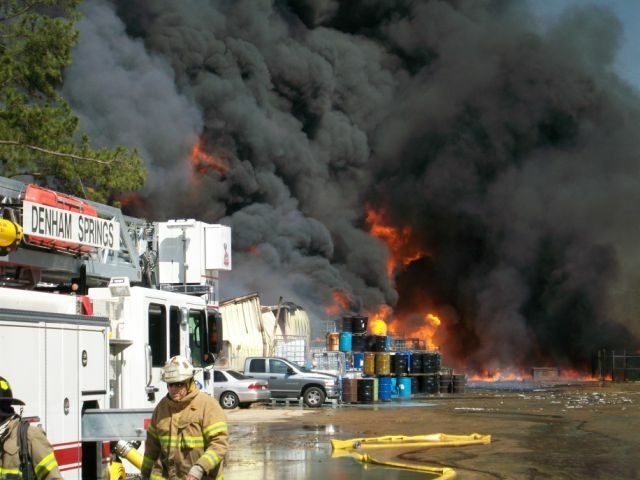 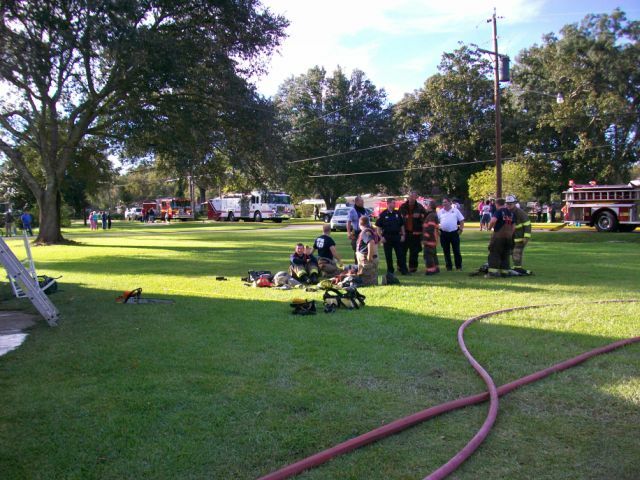 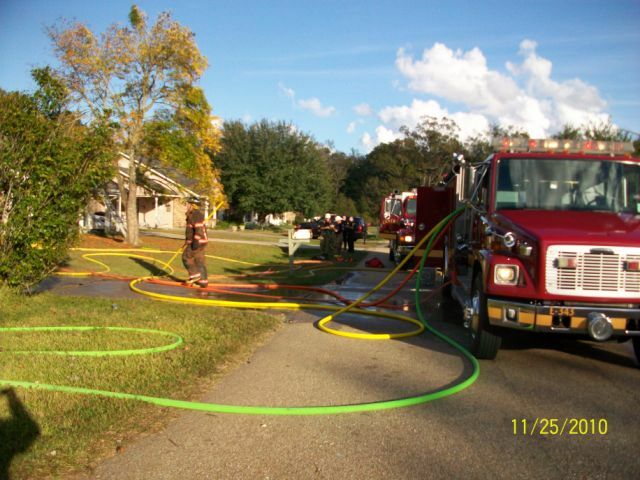 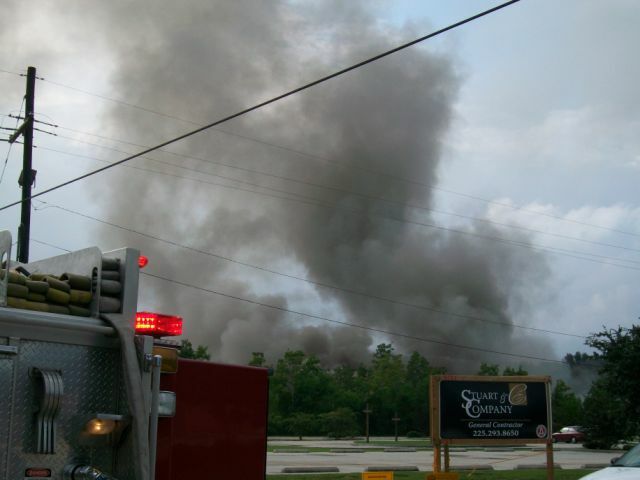 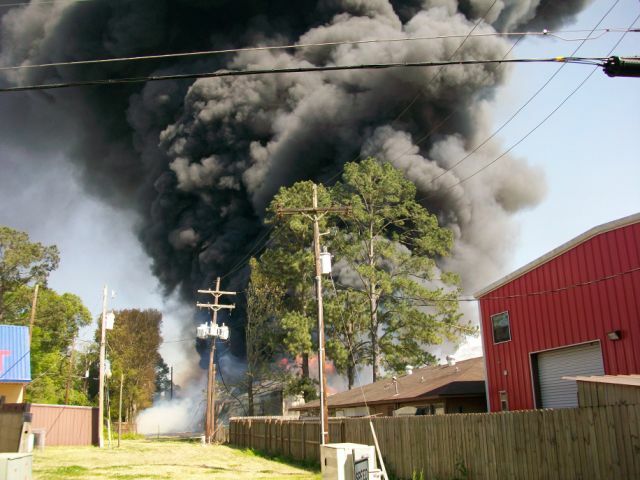 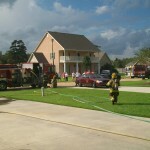 9-15-09 Second alarm structure fire with District 6 and BRFD. 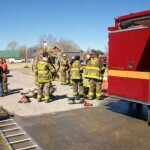 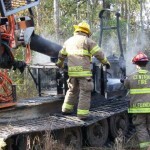 Equipment fire in woods 11-20-09. 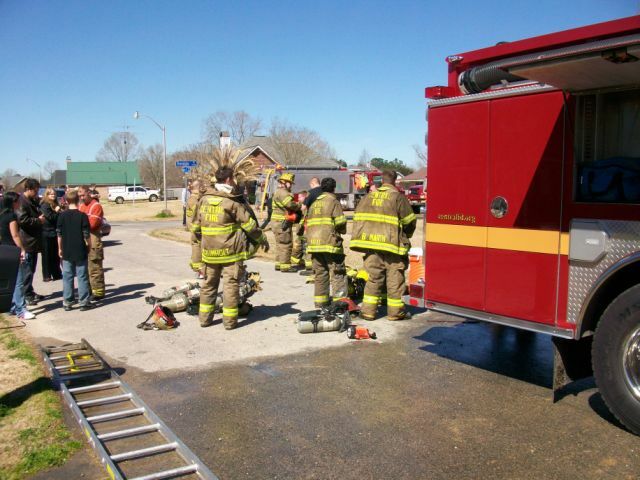 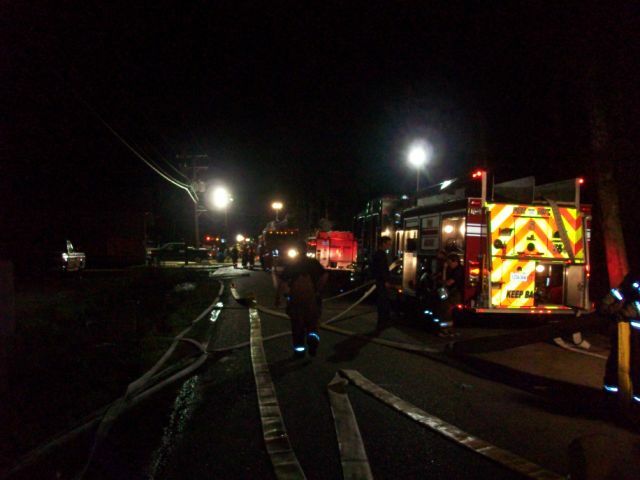 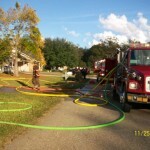 Lots of hose down to get to equipment on fire. 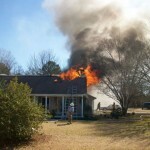 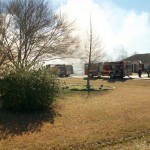 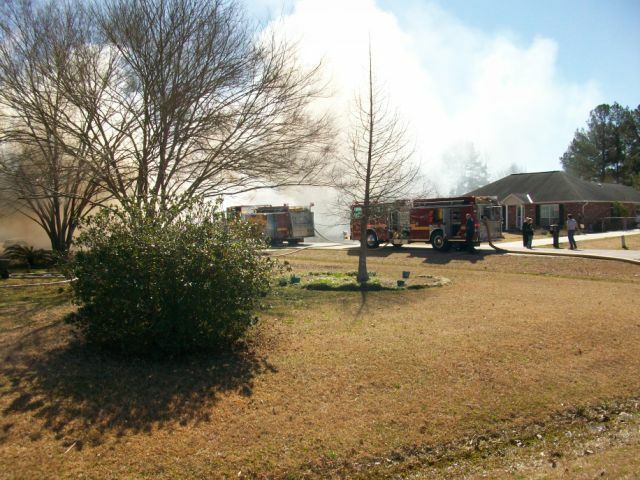 2-28-10 House Fire on Trendale. 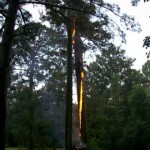 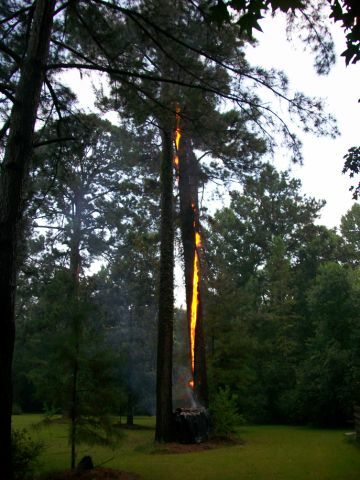 8-2-10 Tree on fire off Planchet after lightning strike. 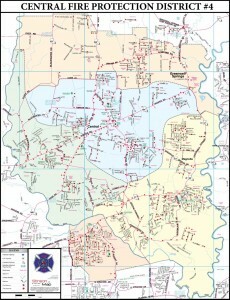 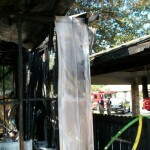 9-21-10 Forest Grove. 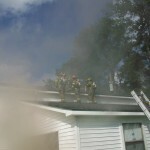 Dty. 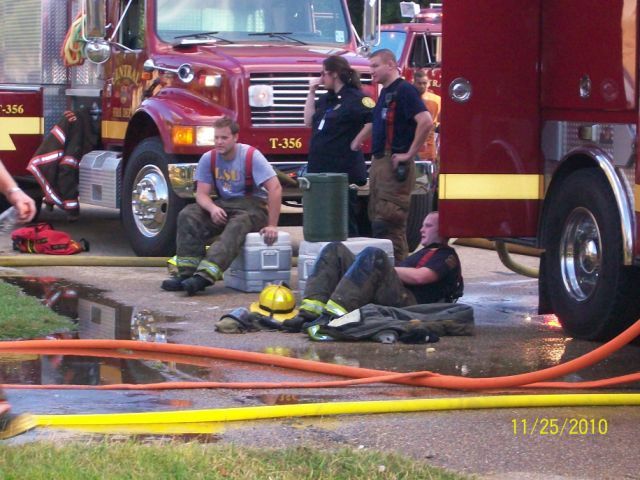 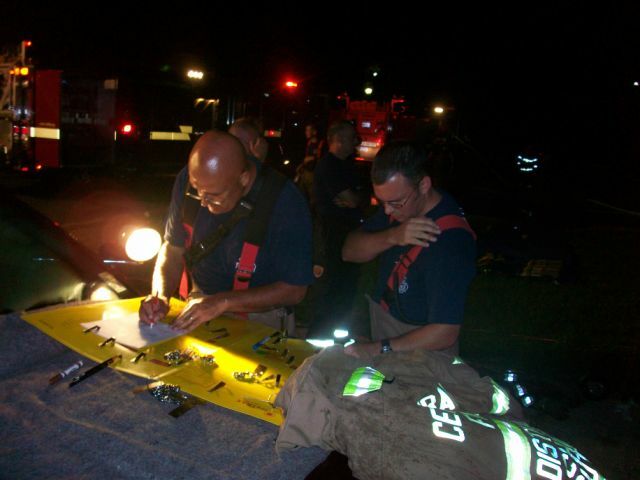 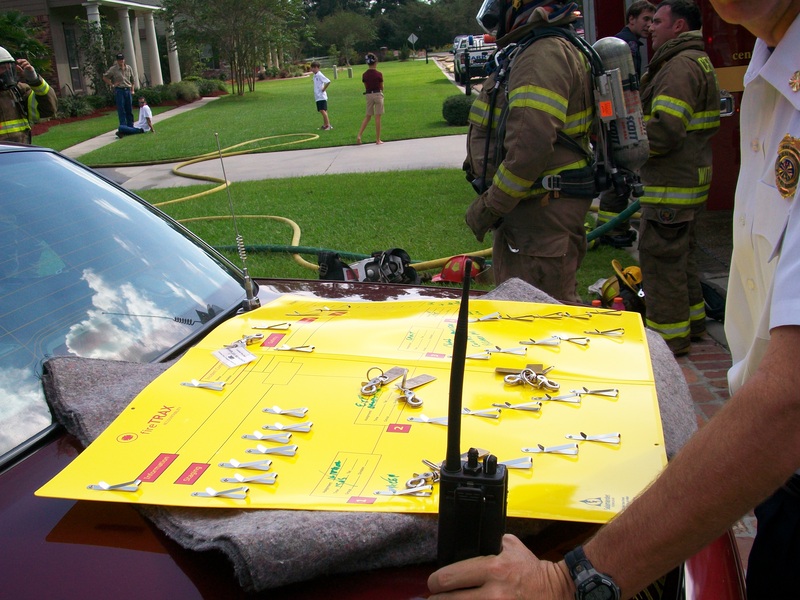 Fire Chief and Captain Withers managing accountability. 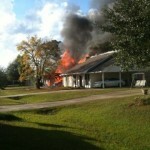 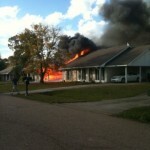 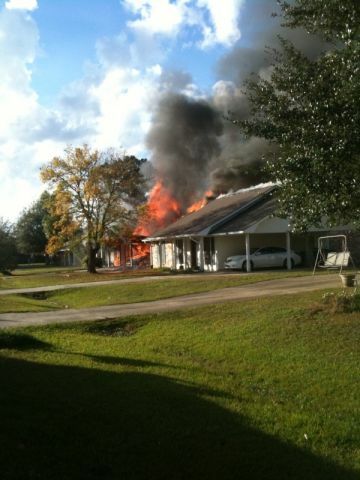 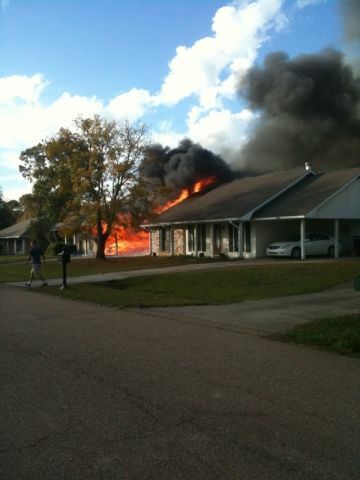 11-25-10, Two houses burning on a windy Thanksgiving afternoon. 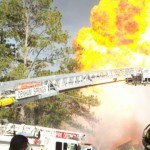 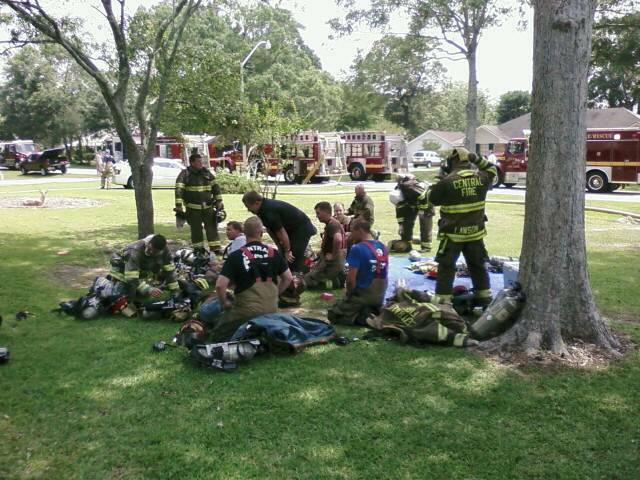 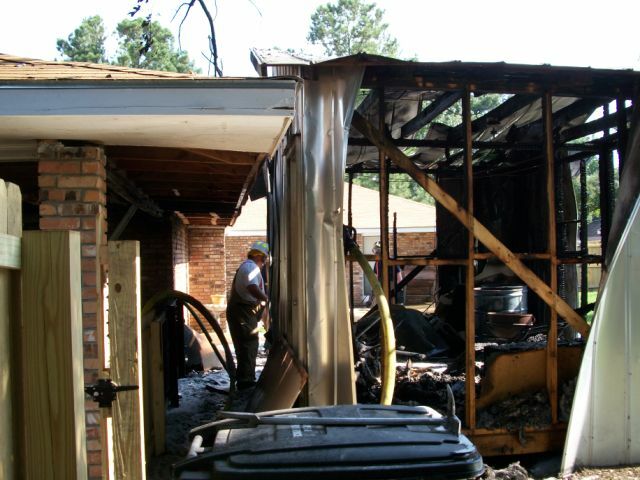 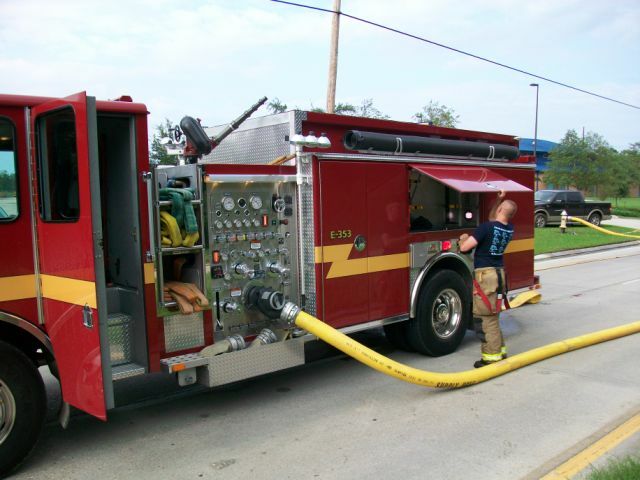 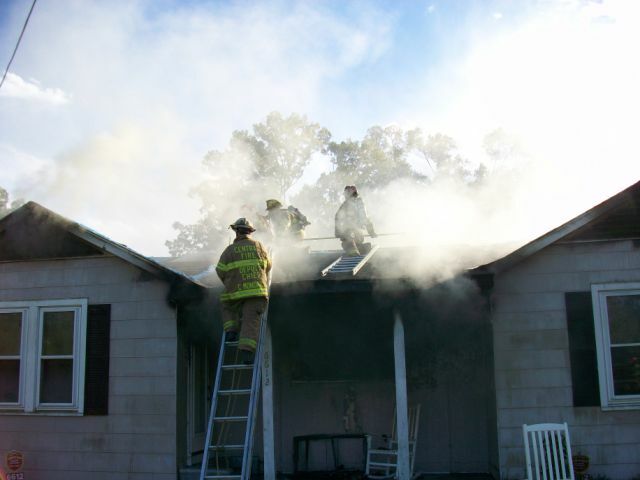 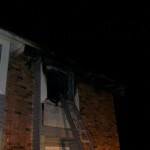 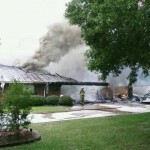 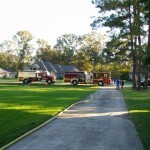 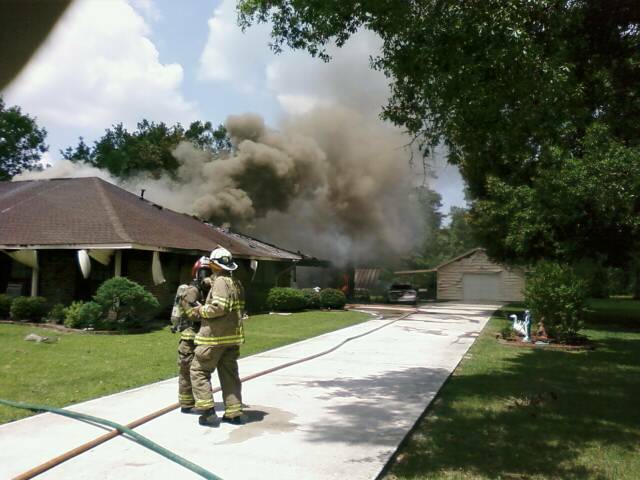 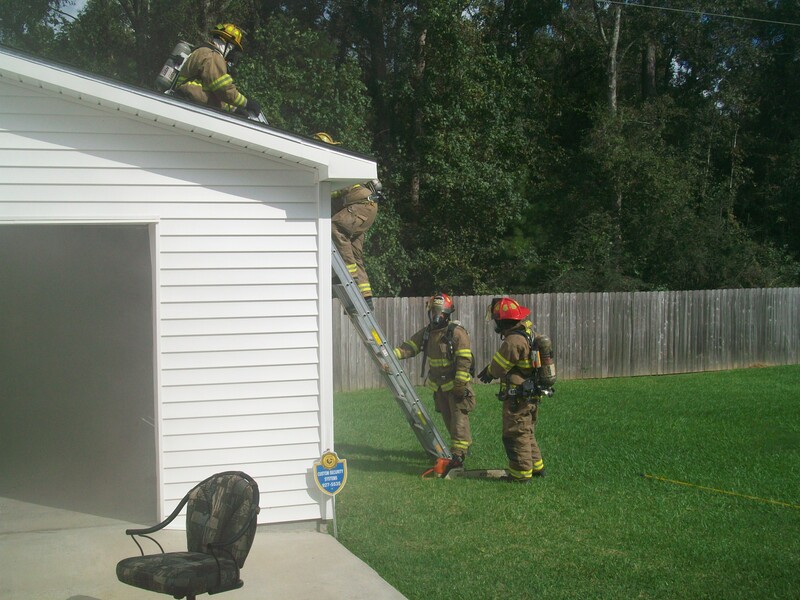 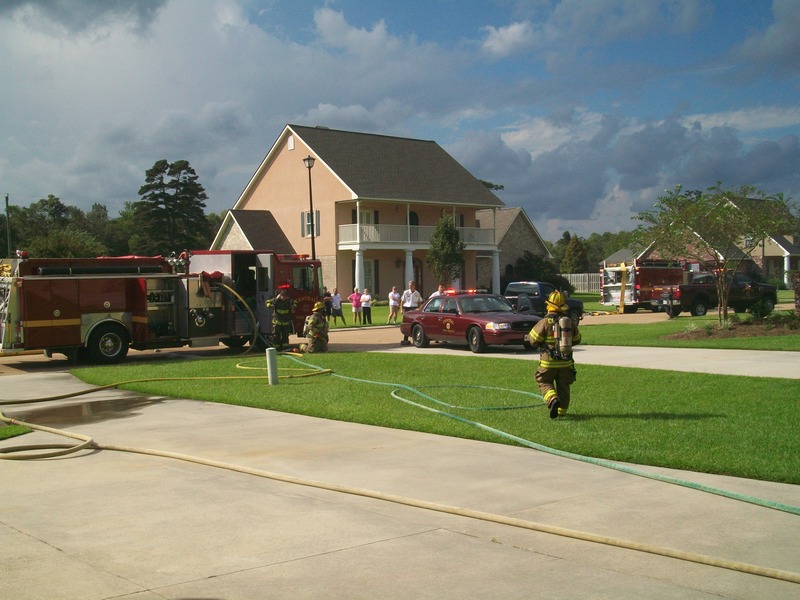 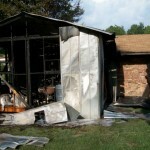 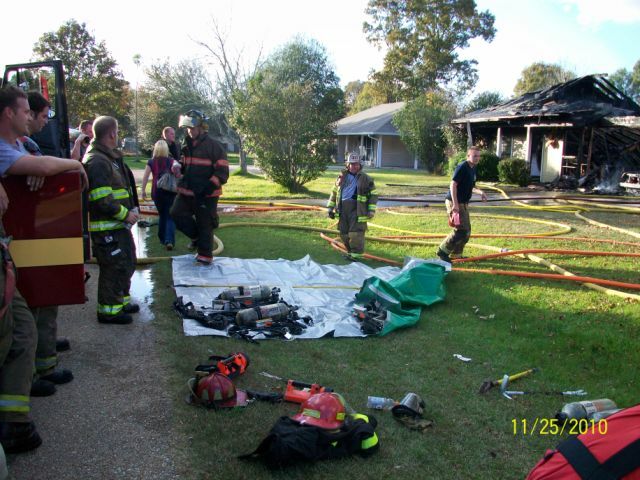 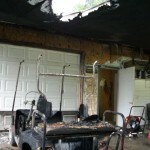 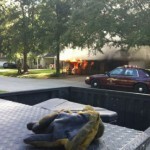 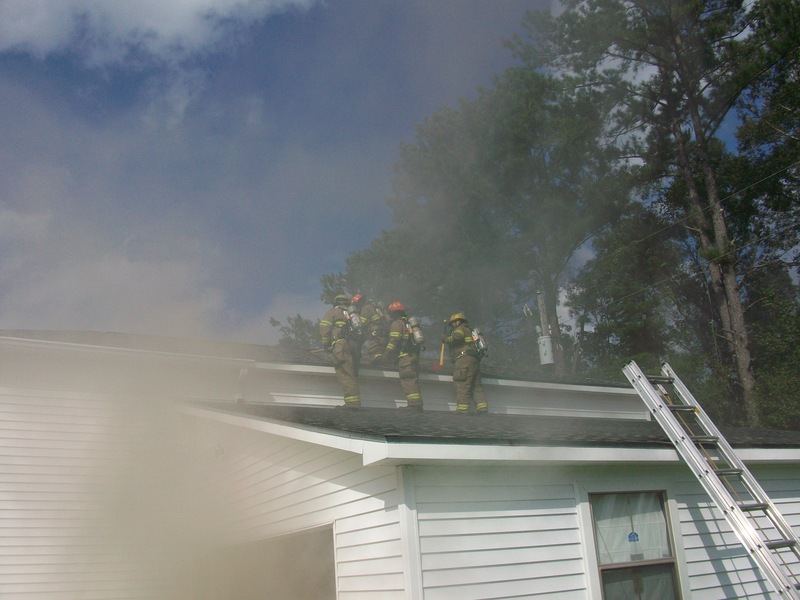 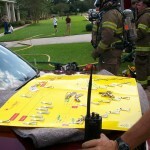 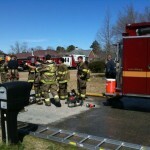 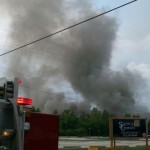 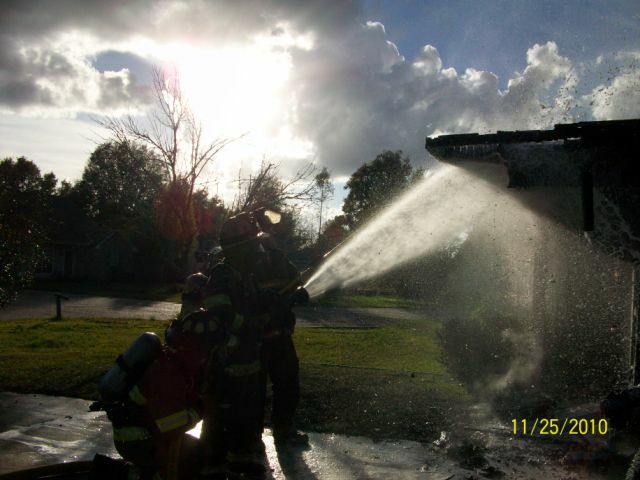 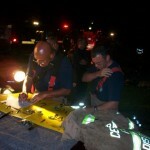 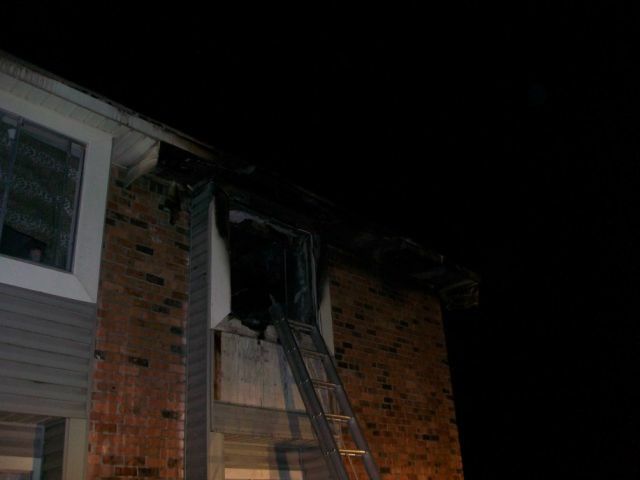 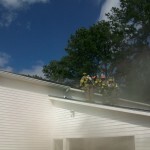 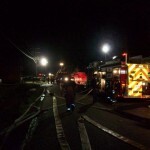 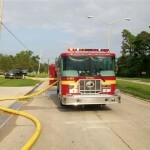 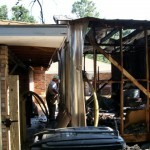 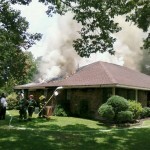 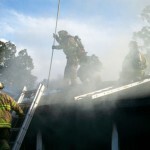 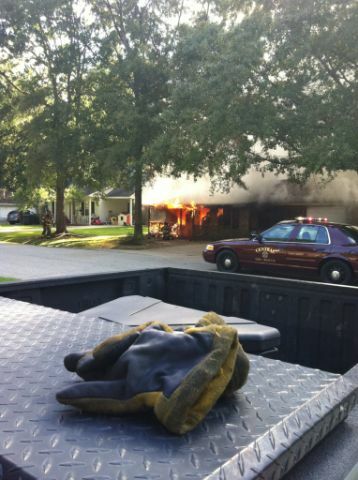 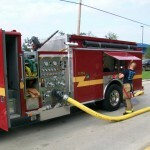 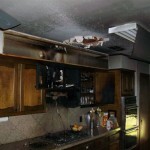 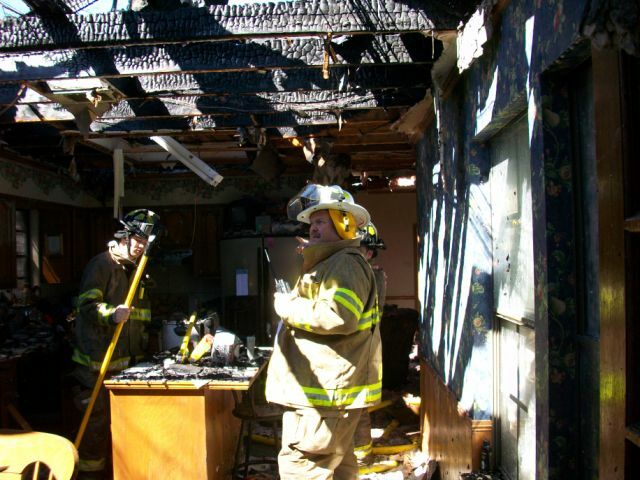 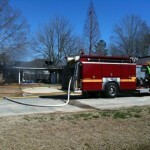 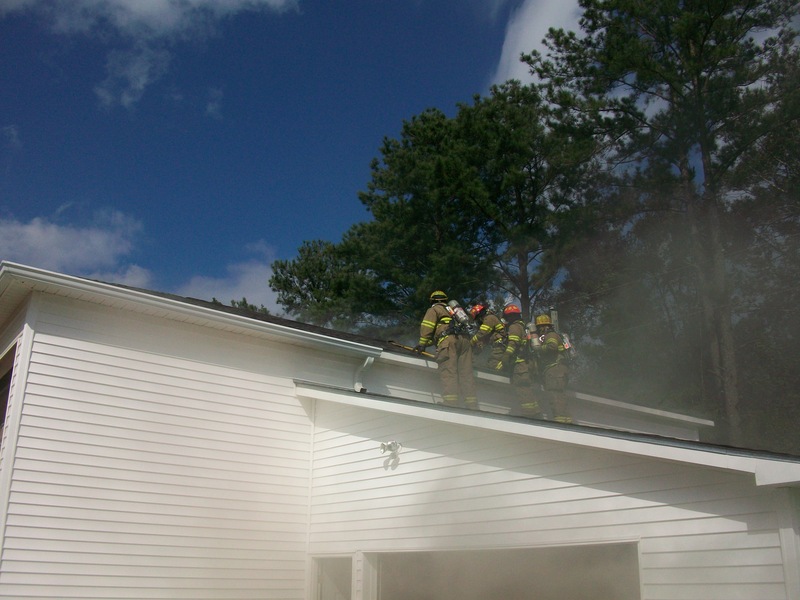 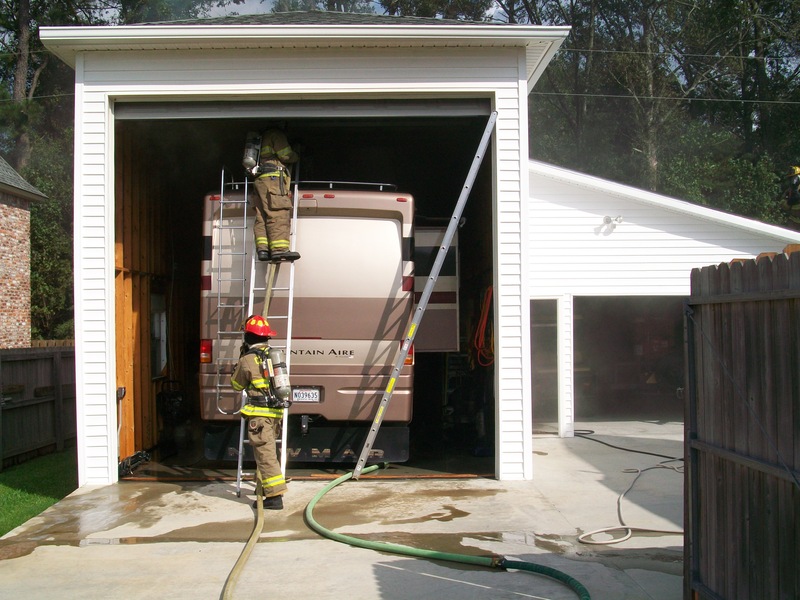 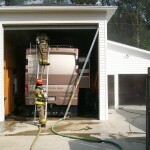 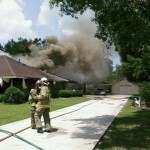 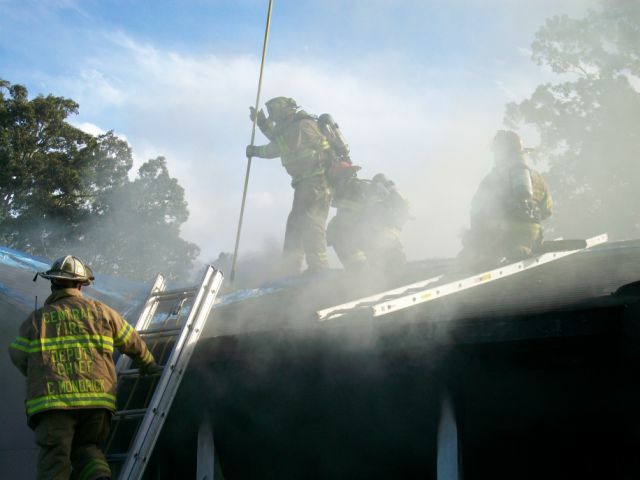 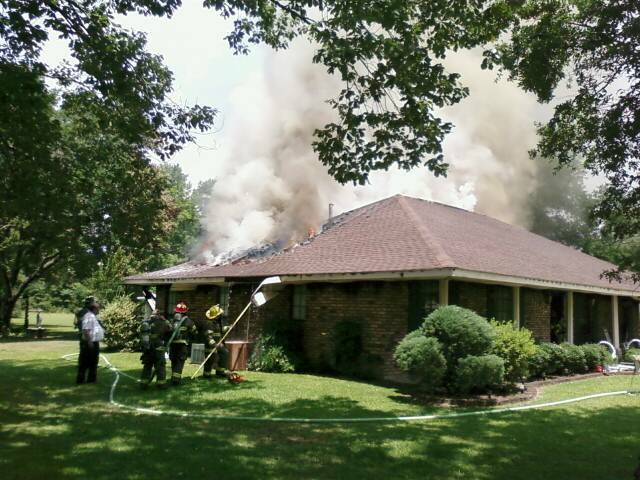 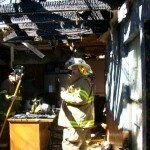 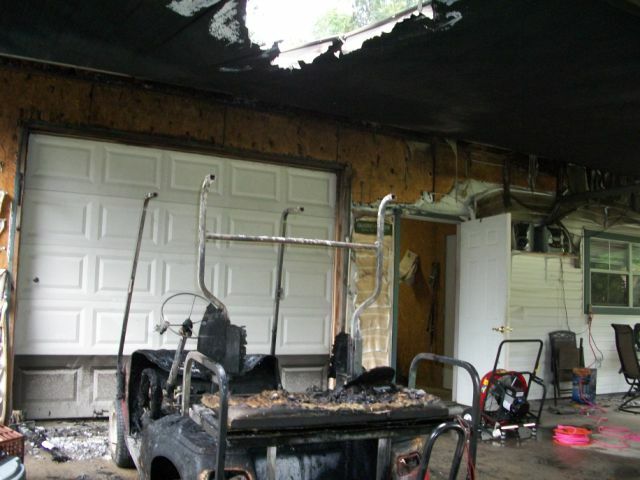 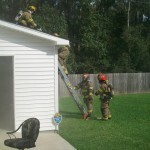 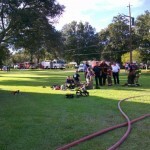 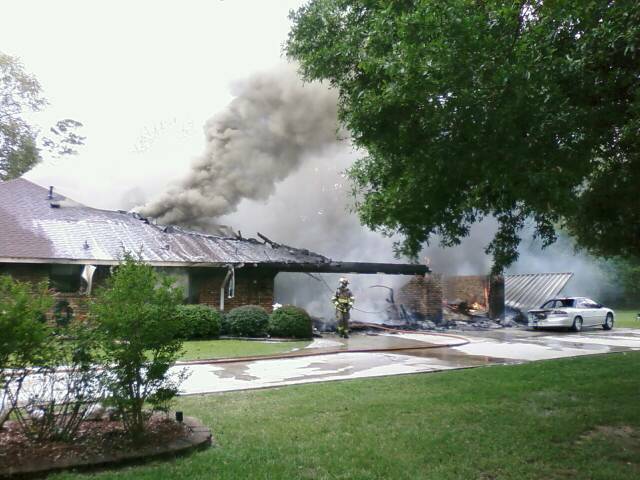 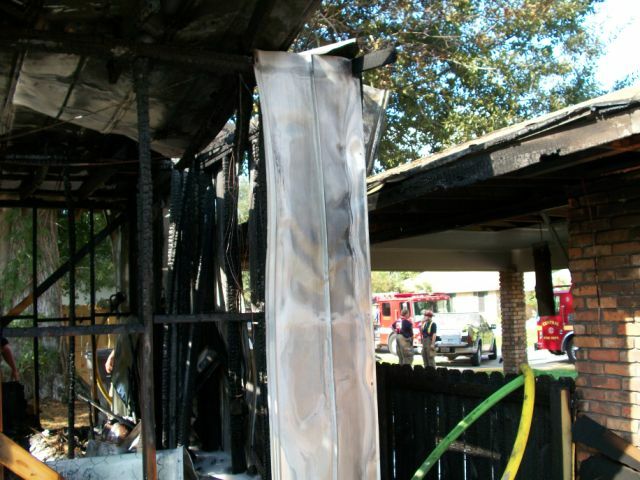 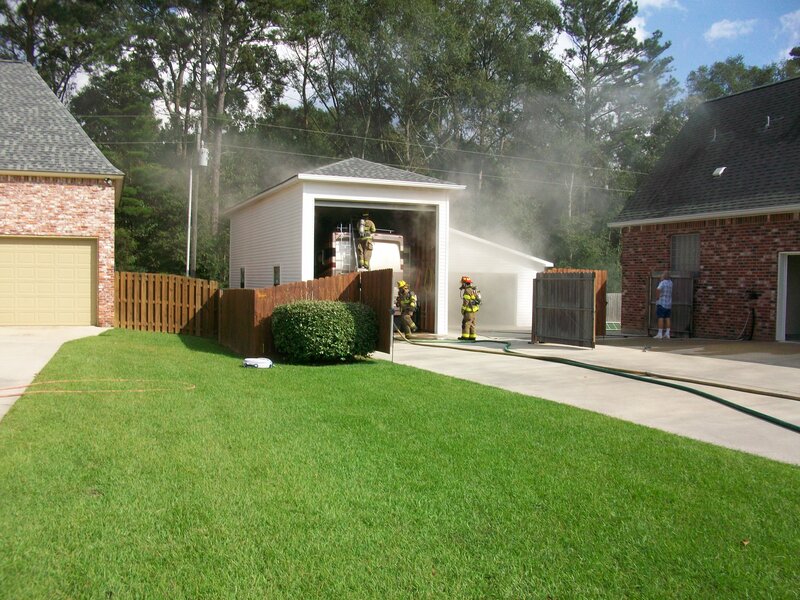 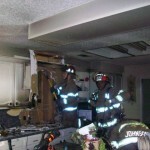 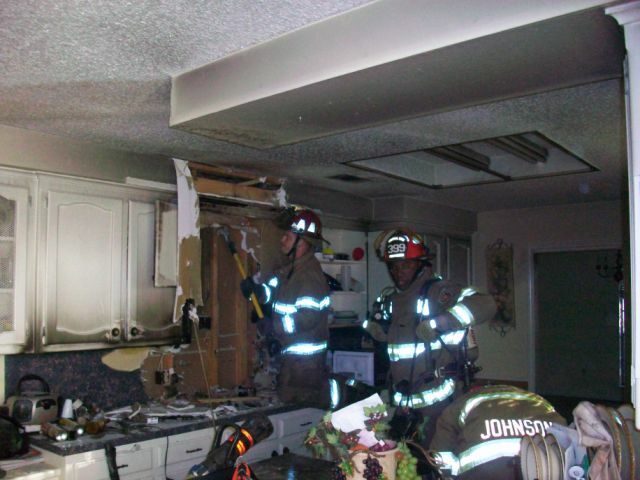 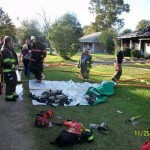 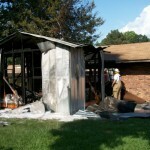 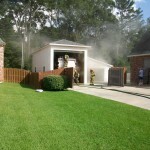 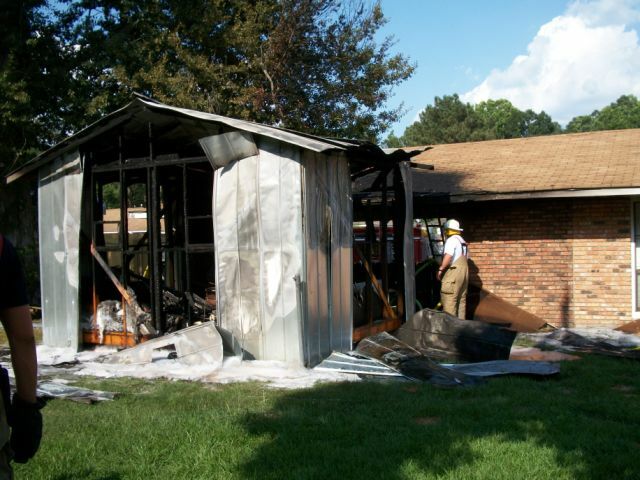 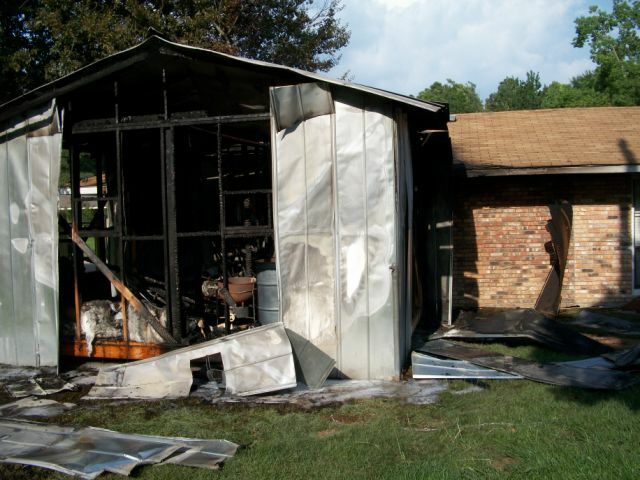 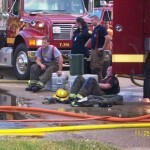 8-1-11 House fire on Conestoga Dr.
FF B. Martin & Asst. 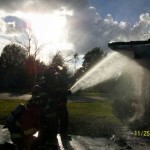 Chief Eller cooling acetylene bottle. 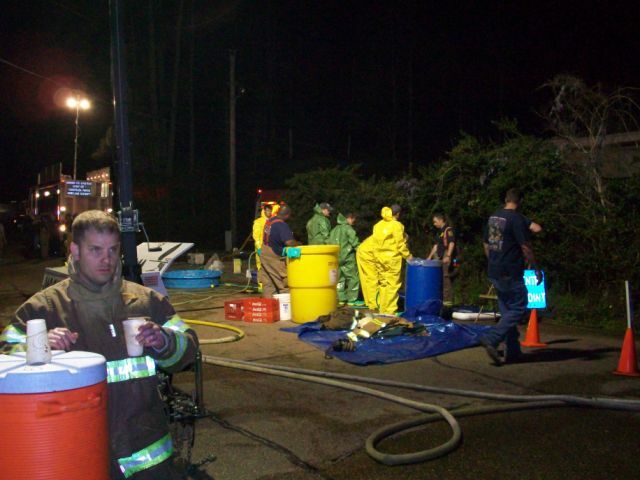 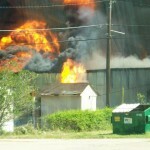 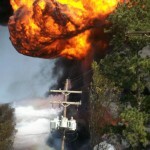 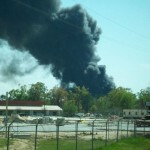 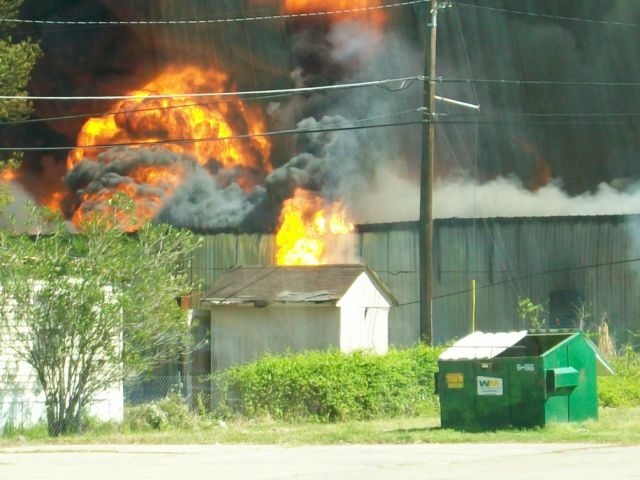 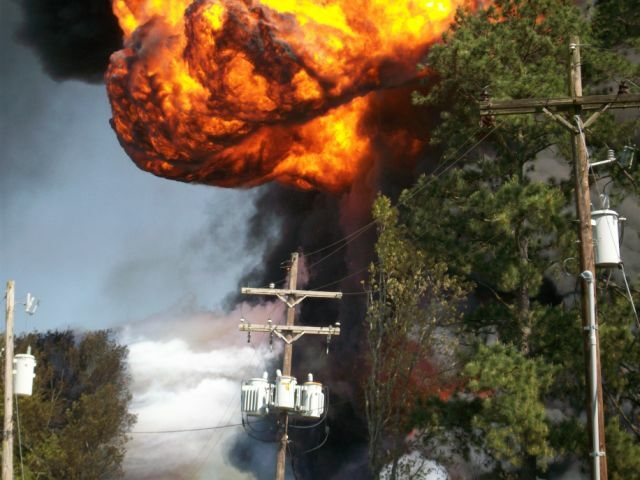 Line stretched to cool burning acetylene bottle.